Since the Islamic Revolution in 1979, women in Iran have been professionally sidelined and legally undervalued. But now, Iran is set to appoint its first female ambassador since the revolution — only the second Iranian woman ever to hold an ambassadorial post. According to The Guardian, Marzieh Afkham, currently Iran’s first foreign ministry spokeswoman, will head a mission somewhere in east Asia. The decision is a startling one, in a country where women’s rights are severely undermined (despite high female graduation rates), and could be seen as indicative of President Hassan Rouhani's moderate social agenda. Afkham's appointment has not yet been officially announced, The Guardian points out, and the specific mission she will head has yet to be named. Her one predecessor as female ambassador, Mehrangiz Dolatshahi, was a prominent MP in pre-revolutionary Iran and a champion of women’s rights within the sphere of family law. Dolatshahi became ambassador to Denmark in 1976, before having to leave her post after the revolution. The social uprising resulted in the establishment of the Islamic Republic and the imposition of a legal system based on interpretations of Islamic Sharia law. The drastic modification of Iran’s legal code reversed years of modernization, enshrining laws that stipulated draconian punishments and drastically reduced women’s rights. Under the new regime, women had to wear an appropriate head covering — frustrating enough and an easy symbol of disempowerment — but far more insidious were other statutes. One, for instance, that stipulated that a woman’s life is worth half of a male life, or that her testimony in court is, again, worth half that of a man’s. Since 2001, women have outnumbered men in Iranian universities, and yet despite the high enrollment rate, it is not easy for women to study freely or to find quality jobs once they graduate. Sixty percent of college students are female, while only 10 percent of Iranian women are employed. In 2012, The Washington Post reports, universities across the country banned women from 77 majors, in fields including nuclear physics, oil engineering, and counseling. Shirin Ebadi, an internationally renowned human rights lawyer, claimed that the move was designed to reduce the gap between male and female enrollment in university. Ebadi, herself forced out of a promising career as a judge when the revolution hit, has written eloquently of the degradation of women’s rights in revolutionary Iran in her memoir, Iran Awakening. “For women,” she writes, “public space — from the produce stand to the park to the bus stop — became fraught with uncertainty.” Women even require the permission of their husband or legal custodian (such as their father) to travel overseas. But now a woman has been chosen to fill the role of ambassador. Afkham, 52, is evidence that despite the legal setbacks women experienced, they continued to hold government positions and were even able to advance through certain channels. The prospective ambassador has served in Iran’s diplomatic service for 30 years as a ministerial aid and then as head of the public relations department. In 2013, she was appointed spokeswoman for Foreign Minister Mohammad Javad Zarif — the first time a woman had held the role. She was always very polite and cooperative although I've no idea of what her political affiliations might be … My guess is that she's quite apolitical and that was probably one of the reasons why she was appointed because no one could oppose her except on the grounds that she is a woman. The Guardian points out that Afkham made herself more eligible for promotion last year, by reportedly marrying; the career of an unmarried woman is unlikely to have advanced so far. 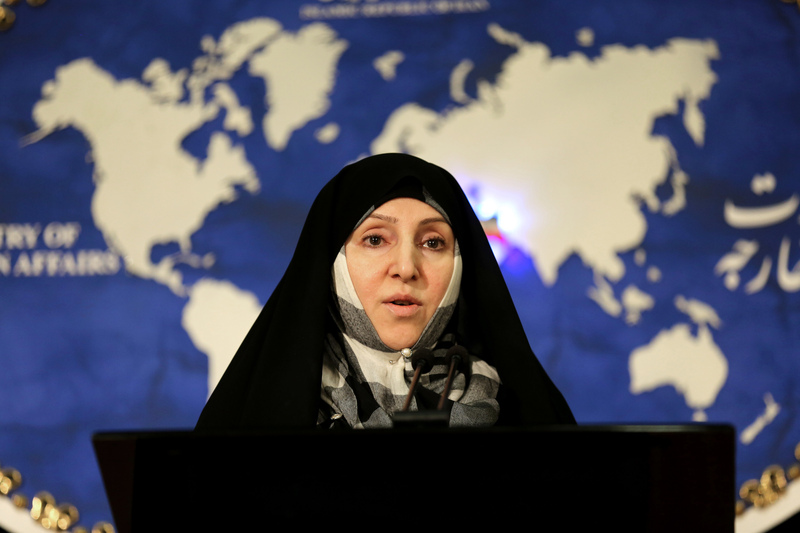 At the time of Afkham's appointment as foreign ministry spokeswomen, Rouhani had already indicated that he would select a woman for an ambassadorial role. Last year, the president spoke out to promote women’s rights, and last month he did so again on the occasion of International Women’s Day. Just this week, according to The Guardian, Rouhani spoke against crackdowns by modesty squads on women’s attire. Although he has consistently championed increased gender equality in Iran, he has yet to follow up on many of his promises (perhaps too busy with other things). This is certainly welcome news for women in Iran. … It is a positive step that the appointment has been made; we haven’t had a female ambassador since the 1970s but it doesn’t alleviate the ongoing concerns about pending legislation in the Iranian parliament that seeks to restrict women’s role in the public sphere. And women’s legal rights in the country could still get chipped further away. In March, it emerged that the Iranian parliament was considering two separate bills designed to ban contraceptives and boost the population. Amnesty International denounced the measures, which they claimed would turn women into “baby-making machines” if passed. Let’s hope that the appointment of Afkham — whom News Hub describes as “a strong defender of human and women's rights” — is indicative of broader positive changes for the country’s highly educated female population.